Last year the media went into a frenzy when they found out Washington HS Senior Gaby Rodriguez faked her own pregnancy for a senior project. Gaby's mom had her first child when she was a teenager. And many of Gaby's siblings also experienced teenage pregnancy. According to statistics, Gaby too was "expected" to become pregnant as a teenager. Gaby was a high achieving high school student. 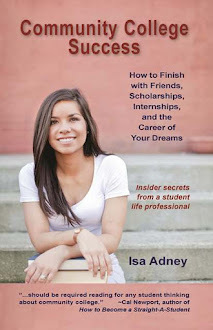 Each year the seniors at her high school have to do a big senior project. As Gaby began noticing the strength of stereotypes in high school, and how some of her own family members sadly accepted their stereotypes, she decided she wanted to do something that would show how, much more than our backgrounds, it's the negative things people say to each other that breed cyclical stereotypes. Gaby wore a fake belly and told only her mom, her boyfriend Jorge, her best friend (so she could write down all the mean things people said behind her back) and a teacher (who also wrote down the negative things teachers said behind her back) about her project. What Gaby found was that once she got "pregnant," no one seemed to care that she was still getting good grades and was at the top of her class. To both teachers and students, her life was essentially over. Forget college. She would never amount to anything. While everyone agrees teen pregnancy is something to discourage, once it happens, is it really the best thing to put the teens down even more? I remember being shocked when I talked to Channel Baez, a former teen mom who graduated college and attended a Harvard leadership program, on the phone as she told me how instantly people stopped believing in her when they found out she was pregnant, despite her top grades. While Channel is the first to tell people teenage pregnancy makes life so much harder, she works with other teen moms to help them realize it doesn't mean life - or potential - has to end. In fact, it's even more essential that the moms are encouraged to develop their full potential, because now there are two lives at stake. Gaby experienced stress and heartache when she realized how instantly the people who once believed in her were ready to give up on her completely. To them, according to their comments, her life was over and her potential, wasted. Gaby wondered - is it the nature of what happens that makes people become statistics, or is it the things other people say and the low expectations that drive them deeper into failure? This was the question that drove the introverted Gaby to take on such risk and essentially give up her senior year for this project; she never anticipated the media would become interested in what she was doing (her project also inspired a Lifetime movie). I was astounded by Gaby's bravery as I read her memoir, The Pregnancy Project, and its theme - how stereotypes become self-fulfilling prophesies - struck me hard in my work with community college students. Because the title of my blog has always been Because going to community college doesn't mean you couldn't get in anywhere else. My goal in all of this was to create a platform to defy the stereotype of community colleges and give students the tools they need to succeed to their potential. Because, like Gaby, I believe those stereotypes are damaging and that they stifle potential that keeps great talent from our world and economy. I was also excited to find out that Gaby is currently attending a community college - Columbia Basin College. Another example of an incredibly intelligent student choosing community college. 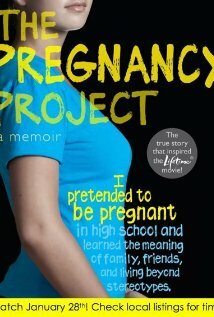 I highly recommend reading The Pregnancy Project. It is one of the best memoirs I've read in a long time, and while it'll have you on the edge of your seat, it will also help you rethink the power that our words have on the trajectories of each other's lives.